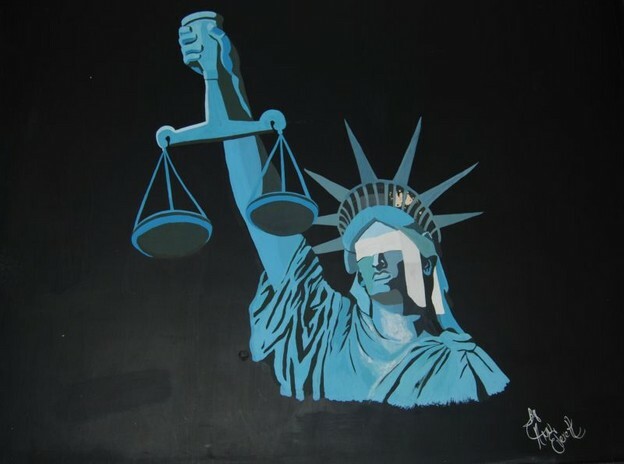 In March of 2012, a mother contacted the administrators of George C. Marshall High School in Fairfax County, Virginia, with a complaint about one of her son’s teachers. 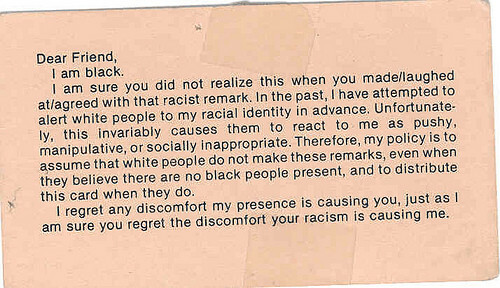 Among the readings for the graduate seminar in black philosophy and theory that my students and I completed not long ago were the collected writings of philosopher and artist Adrian Piper, in which, among so many other projects, she reproduces the calling card she had printed up for use in one of her on-going projects from the 1970s. Because Piper is, as we so deftly put it in America, a light-skinned black person, she has had the experience of being in a group of white people and hearing one of them tell a racist joke. She had cards printed up that she would present to the tellers of such jokes, cards that explained that she was in fact a black person and that she found the telling of the joke objectionable. This was not merely a personal campaign, you must understand, but was a sort of philosophical theater, for the presentation of the card was not simply a means to carry out a personal fight with racism. I’m going to start simply by telling the story of this image. Anna Everett was a young woman from Washington, D.C., who moved to Buffalo, N.Y., in the early 1970s to live with relatives while finishing her high school education. As a new student, she was sent to Lafayette High School, which was only then being integrated. If you’ve read about the integration and bussing battles of that era, you can well imagine the challenges she faced. There weren't attacks on school buses by angry mobs as in Boston, but there were groups of white parents picketing the approach to the school and making it abundantly clear to the small group of black students that they were not welcomed by all. With all deliberate speed, Everett set about making her mark at Lafayette. A.L. Nielsen is a poet and critic whose work has long grappled with the mysteries of race in America. His most recent volume of poetry is A Brand New Beggar. His critical book Integral Music was awarded the Josephine Miles prize. He lives in Pennsylvania and California.